Reserve the Zorb Balls for your next party or event! These fun party inflatables allow guests to climb into the Zorb Balls and bounce around to their heart's content! The Zorb balls stand over 8' tall and feature a see-through design with a polka-dot red pattern. 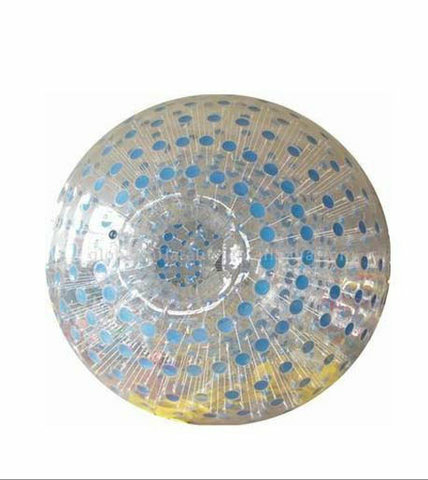 Check out our other listings for additions that go well with our ever-popular Zorb Balls! If you're planning a Saturday party, know that we are often able to deliver a day ahead of schedule. Be sure to note in the order form if Friday delivery is okay, and include other additional considerations or time constraints as well.